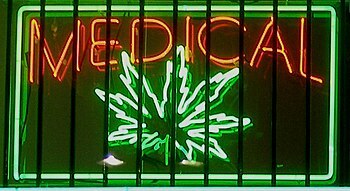 On Thursday, the foundation released a statement pushing for legal access to medical marijuana nationwide. The statement, written by Epilepsy Foundation CEO Philip M. Gattone and Chair Warren Lammert, notes that clinical trials have already begun on a marijuana-derived chemical called cannabidiol (CBD). But federal restrictions make studying the chemical unnecessarily difficult, the statement continues. And while Lammert’s daughter is lucky enough to be one of the children enrolled in these trials, many others must wait for final FDA approval. Some families have uprooted their lives to obtain CBD oil through Colorado’s medical marijuana program. More than 100 families of epileptic children have relocated to the state since CNN aired the story of a young girl with Dravet syndrome last summer. Families have come not only from other states, but Canada as well. Read more via Epilepsy Foundation Calls For Legal Access To Medical Marijuana – Leaf Science.